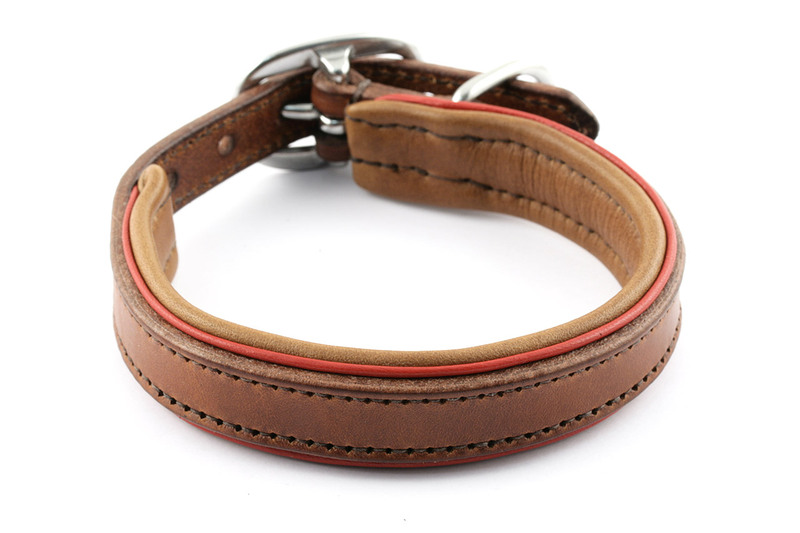 The first collar is made in hazel leather, with caramel padding and red accent. 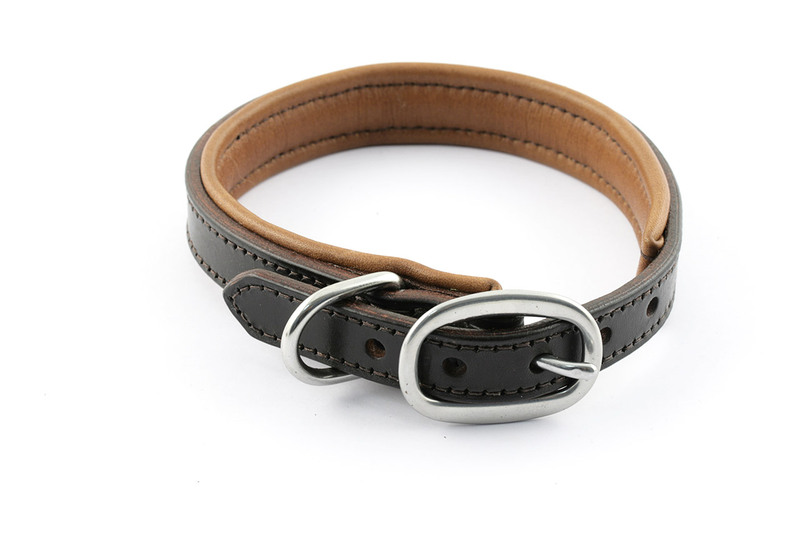 Size is M, buckle and dee are stainless steel ones, 19 mm (3/4") wide. 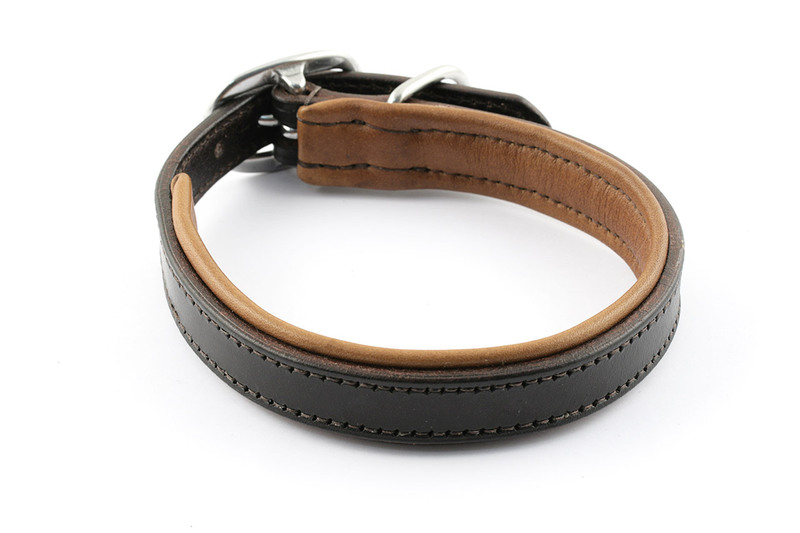 The second collar is made in dark havana leather with caramel padding. 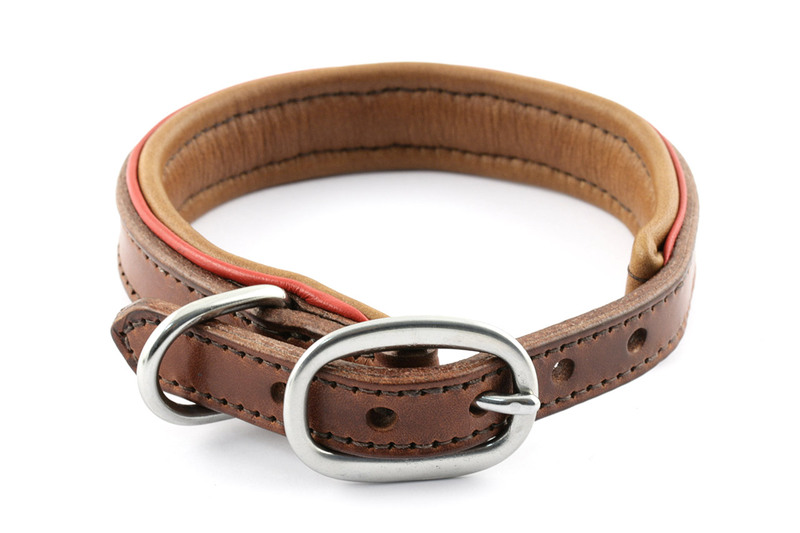 Same size and hardware as previous one.